Happy Saturday! It's nice to be get a post done on the weekend as it seems like lately the weekend is when I can do some work on the blog. 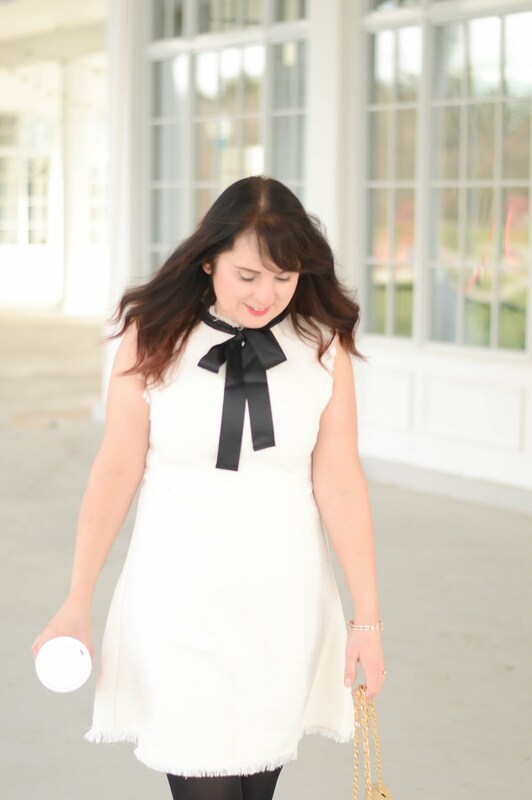 For those that have been following me for a while or if you're a new reader, then you must have picked up that I love dresses! Why? Well a dress is one piece of clothing that can instantly make you feel gorgeous. 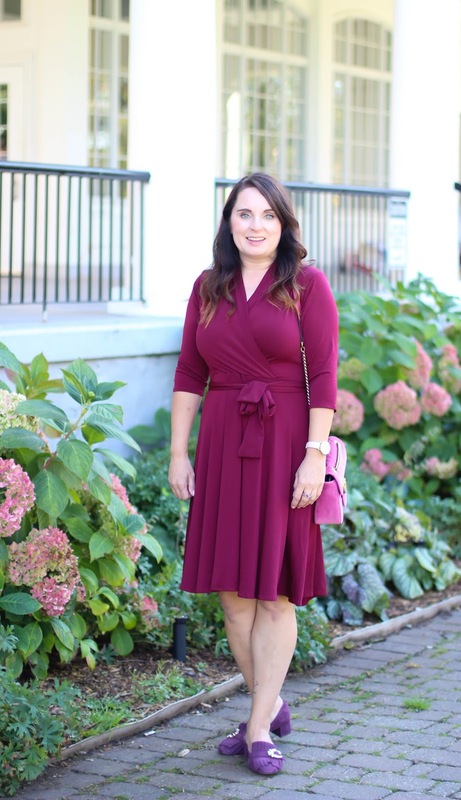 Finding the perfect dress that makes you feel gorgeous, well that's easier said than done, BUT today I am sharing the dress shape that I feel is the most flattering to any body shape. 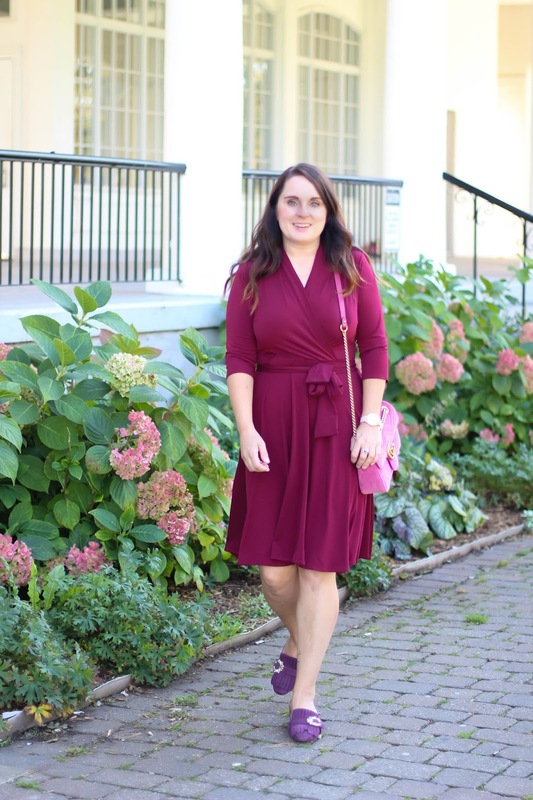 Ready for it?, it's the wrap dress! 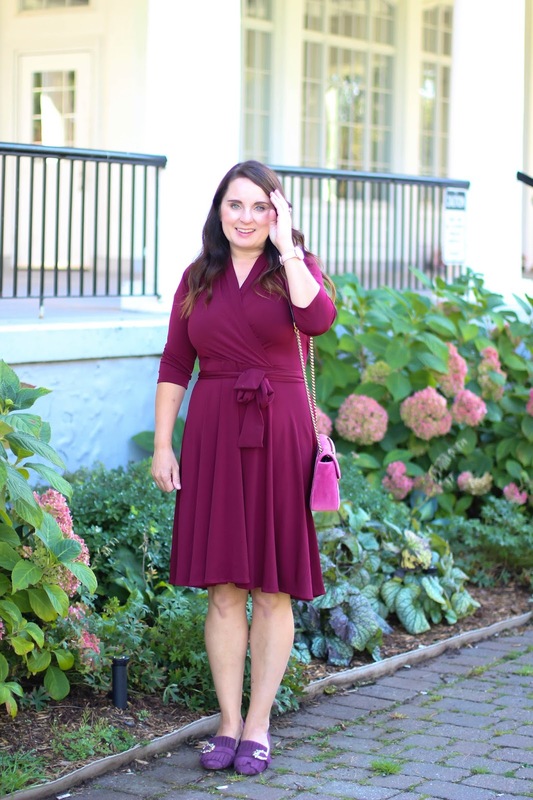 A great wrap dress, or in this case a faux wrap dress (which I do prefer), is the perfect style for almost any body type. The wrap dress instantly elongates the torso, while the wrap cinches the waist making your body have a great hourglass shape. 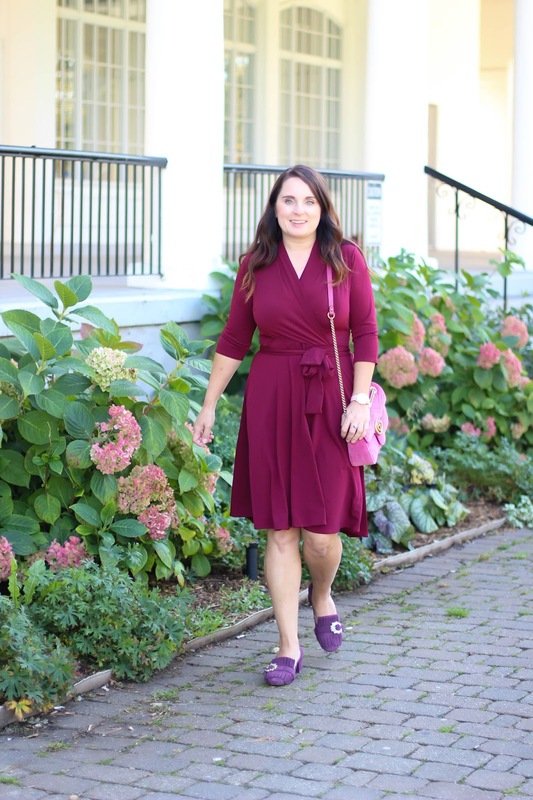 So now where do you find a great wrap dress? 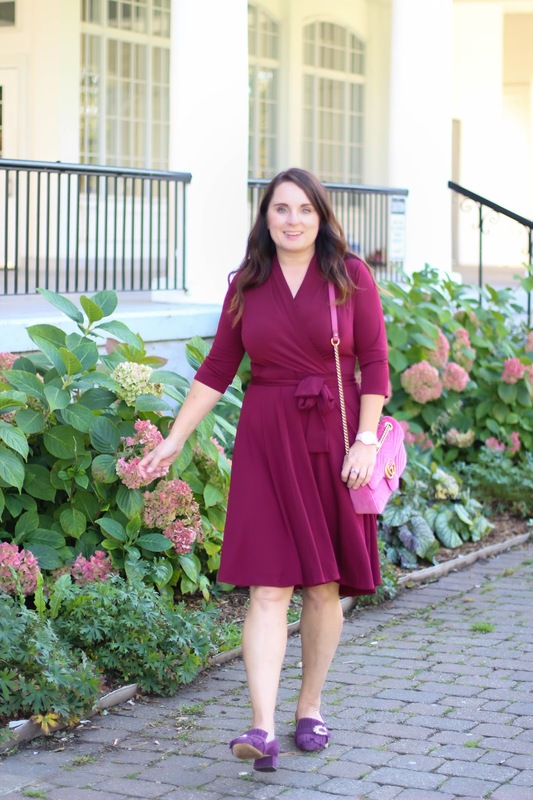 Well one of my fave companies Karina Dresses, has probably created the most perfect faux wrap dress called the Ruby. This style comes in around 6 different prints, and 4 solid colours. 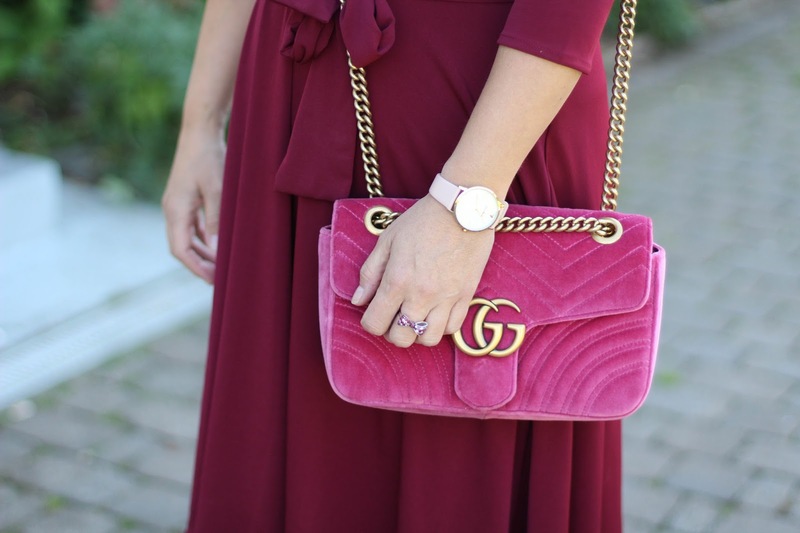 This is the Ruby in the crimson shade and WOW is this a gorgeous dress! 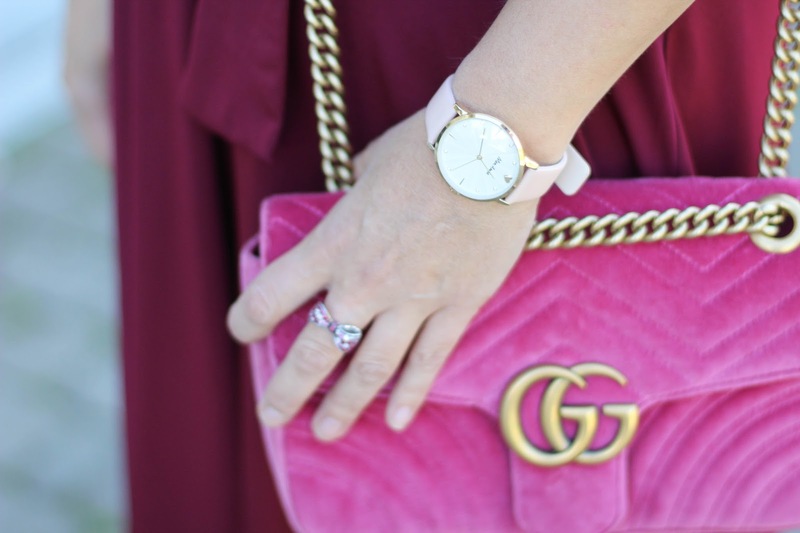 If you have a fave dress style for your body type let me know, I love to try new cuts of dresses all the time.